Welcome back to Medieval Monday! 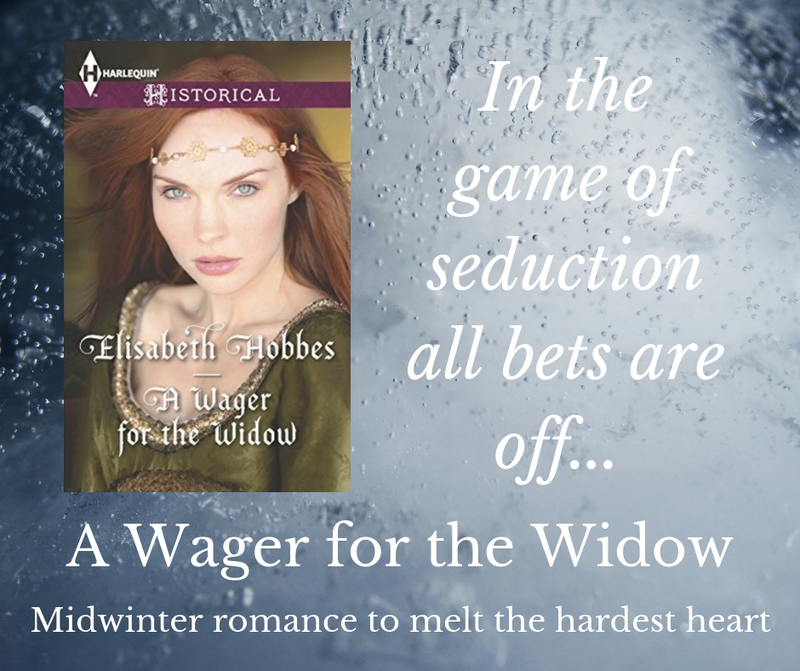 It’s Week Four of our “Family” theme, and I’m thrilled to feature an excerpt from A Wager for the Widow by the talented Elisabeth Hobbes. Edmund broke his reverie as he threw himself on to the bench and slung an arm around Will’s shoulder. Will greeted him with a distracted smile, the intrusion into his thoughts unwelcome. They drank contentedly for a while, discussing the upcoming feast, Rob’s successful wager and impending marriage. Rob retrieved his kestrel from the perch by the fire with a bow and a few brief words to the ladies, then joined his brother and friend. Lady Peyton’s eyes followed him as he crossed the room and Will saw her expression change to a frown as she saw where he was heading. ‘You must be imagining things, Edmund. What could I have done?’ Will asked innocently. He took a deep draught from his goblet. Remember to visit Elisabeth’s blog and comment on my snippet for a chance to win Flight of the Raven (or if you already have a copy, your choice of another of my books)! Thanks for hosting me today Judith. You’re very welcome, and I enjoyed your excerpt. I wonder what Will is hiding!